The latest in an endless string of Ryu Ga Gotoku 3 (Yakuza 3) game promotions: Japanese liquor. Seifuku Distillery has crafted Ryu Ga Gotoku alcohol. It comes in two types: Japanese sake with plums and Okinawa's strong island sake awamori. Awamori is potent stuff and often sold at 60 proof. 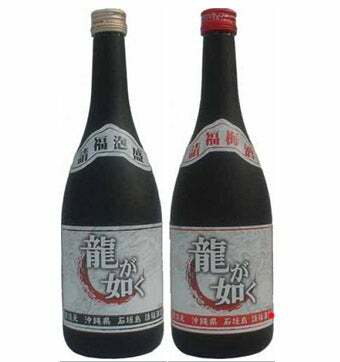 A bottle of the Ryu Ga Gotoku awamori is priced at ¥1,100 (US$11.40), while the plum sake is priced at ¥1,600 ($16.50). Both are available in Okinawa from February 26 and in the rest of Japan from March 2.